Look - There are loads of things to do in Newquay for October 2018! As B and Bs in Newquay go, we’ve had an epic summer. The heatwave saw our place absolutely bursting at the seams with happy holidaymakers and the whole of Cornwall enjoyed record visitor numbers. We were delighted to see the town so busy and bustling. It just goes to show how many of us actually prefer to holiday at home in the UK when the weather plays nice. Let’s hope we have another summer like that in 2019! We’ve put a request in with the weather gods, so fingers crossed. Now we’re back to normal, nicely busy for a few weeks until we shut up shop for the worst of the winter. What’s going on over the next few weeks in our beautiful little town? As usual, there’s a surprising amount to do and see. Here’s what’s on in Newquay for October 2018. Totally cool or what. Even if you don’t surf, this is one you’ll want to watch. Enjoy an amazing Night Surf at Newquay’s Fistral Beach, kicking off at sunset. There aren’t many surfing experiences to beat it. The fun takes place 26th and 27th October 2018 and it’s all set to deliver a thrill per second… or more! Newquay’s Halloween Zombie Crawl, a big favourite with the kids, takes place on Saturday 27th October and it’s free. Dress up, join in, paint your face, grab a lantern and scare yourselves silly. A magical evening with the brilliant country musician Chris Bannister at Newquay’s Lane Theatre is bound to draw a crowd. No wonder he’s back, thanks to popular demand, with a brand new show packed with brilliant originals and lots of great cover tunes. The fun happens on 27th October. Fright Night at Newquay Zoo, on 30th of the month, is set to scare the pants off you… in a good way. The zoo has got together with the brilliant NT Drama, from Newquay Tretherras Academy, to deliver a dazzling evening of spooky stories told by torchlight, complete with steaming mugs of hot chocolate. Lane Theatre is your venue for the always-popular Joe Cocker Experience on 13th October, a tribute band that loves to play in Newquay because of the great reception they always get. We love them! If you adore Mr Cocker’s gravelly voice and wonderful tunes, drop in for a tribute to remember. Grease the Musical is on at at Newquay Tretherras Academy on 16th to 19th October, and everyone’s welcome to watch these talented youngsters do their cool thing. It might even inspire your own child to take up acting. You might even give it a go yourself. Inspiring stuff. There are all sorts of good things on tap on year-round in Newquay. 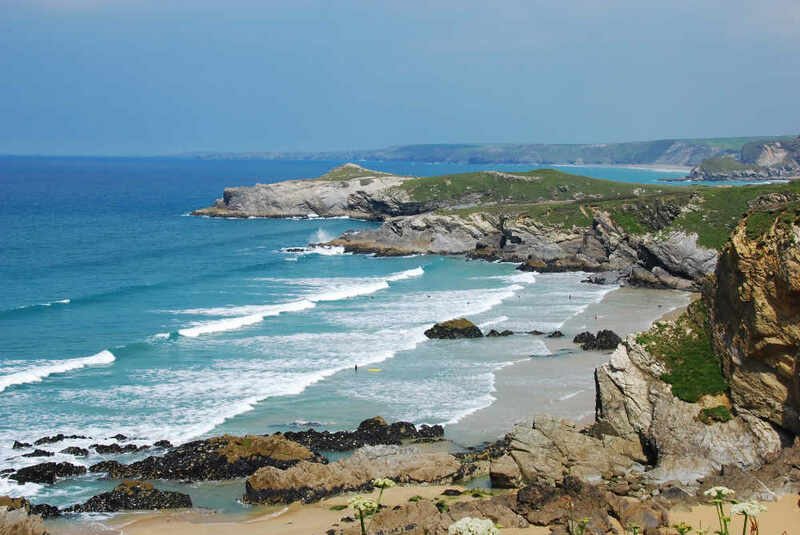 Lusty Glaze is a smashing surfer-style restaurant and café nestled in Lusty Glaze cove, dog friendly and fun with awesome scenery on tap and sea views to die for. They hold regular live music sessions as well. Pirates Quest is perfect for children of all ages, from infancy to centenarians. It’s a totally immersive experience that plunges you into the bizarre world of the real-life Caribbean pirates, played by talented actors. Ideal for all ages, it’s a proper eye-opener into the truth behind the legends. And if you’re into your vinyl, which is making a massive come-back, you’ll happily lose yourself for the day in local music lover Stephen Godwin-Day’s excellent Retro Sounds record shop. That’s just the tip of the iceberg. Our town is perfect for simple pleasures like beachcombing, walks and watching the sunset, too. If you’re searching for a good value, friendly, central bed breakfast in Newquay Cornwall you’ve found us. You need to book early and avoid disappointment since, like all good b&bs in Newquay Cornwall, we tend to get booked up pretty fast. See you soon!